The Heavy Equipment are ready to work. 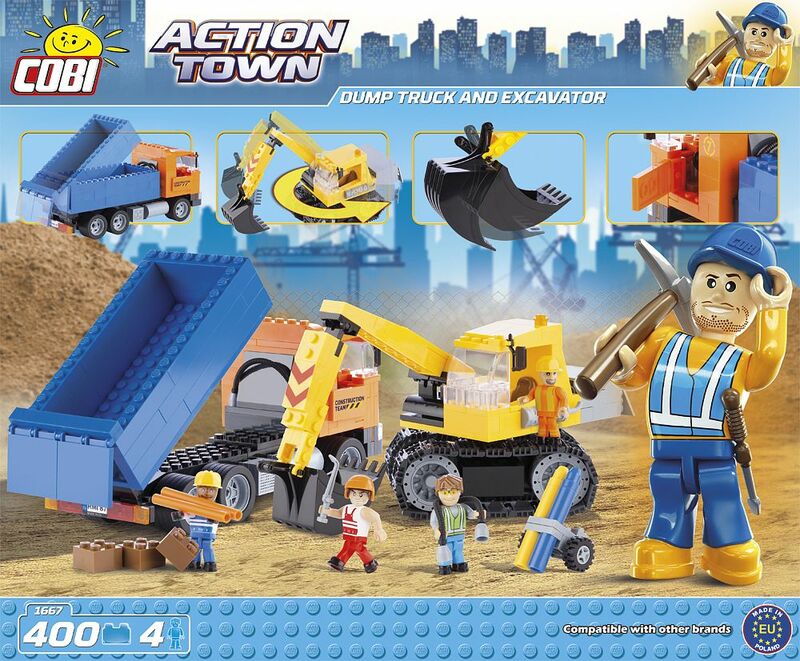 Build an excavator and a dump truck so you can complete the tasks quickly and efficiently. The kit consists of 400 blocks and 4 construction worker figures. 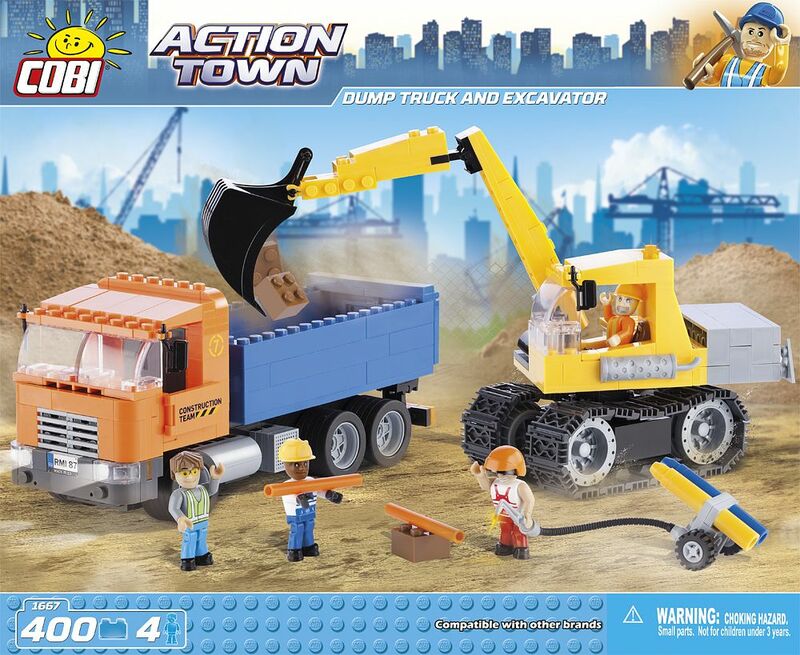 The excavator is equipped with tracks and a movable arm for scooping the dirt into the dumptruck. The accessories contain welding equipment and metal pipes.